Sen. Kirsten Gillibrand (D-N.Y.) called Saturday night for the defeat of President Trump in Election 2020 and a change of Congress to enact long-sought after federal non-discrimination protections for LGBT people. Gillibrand, a possible Democratic contender in 2020, made the remarks Saturday at the 2018 HRC Greater New York Gala, encouraging attendees to join efforts to make change in the mid-term election and the presidential election in 2020. 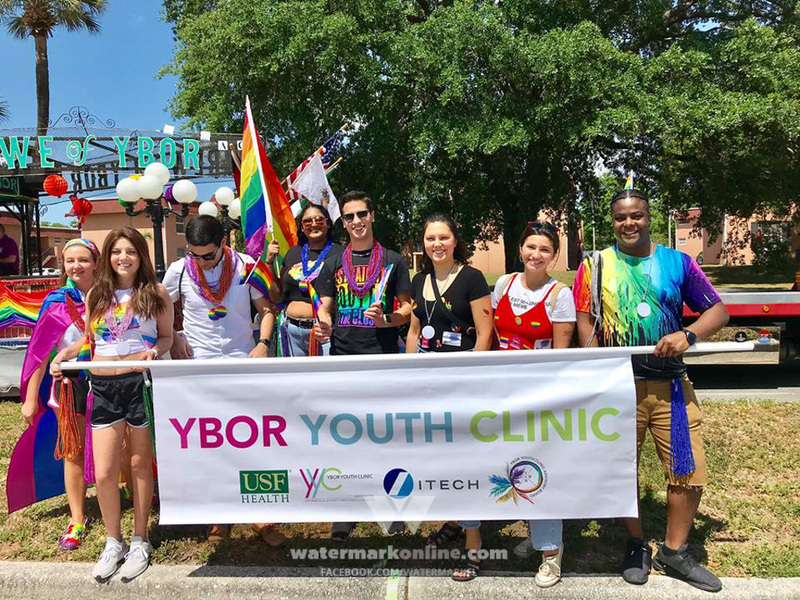 The Equality Act, legislation introduced by Rep. David Cicilline (D-R.I.) and Jeff Merkley (D-Ore.), would amend the Civil Rights Act of 1964 to prohibit anti-LGBT discrimination in employment, housing, public accommodations, education, credit, jury service and federal funding. In a 2000 interview with The Advocate, Trump said he supports amending the Civil Rights Act to include sexual orientation, but he has never addressed the issue during his 2016 campaign or as president, nor has he ever said whether he backs the addition of transgender protections in federal law. The erosion of LGBT rights during the first year of his administration suggest Trump no longer holds the position he expressed in 2000. 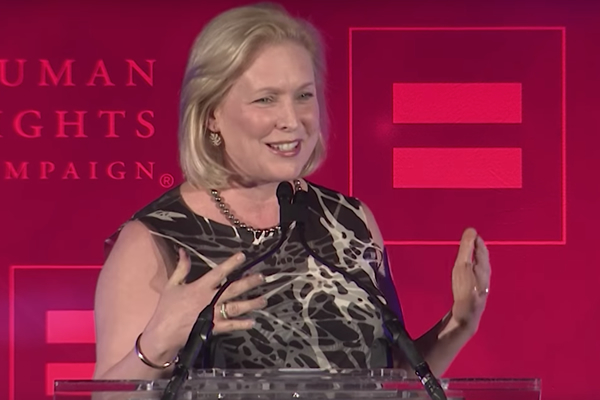 Gillibrand attributed the success of the LGBT movement not to politicians, but activists on the ground, at one point referencing in particular the president of the Human Rights Campaign. “Even if I am the one on the stage tonight, I want to remind all of you that the fight we have on our hands is only won because of the Chad Griffins and the Scott Campbells of this world and all of the people who here tonight who are determined to their faces heard,” Gillibrand said. At one point, Gillibrand became audibly emotional when she recalled the story of a transgender kid who goes to the same school as her son and found the support of his classmates. But Gillibrand’s tone quickly changed when she juxtaposed that story with the Trump’s attempt to ban transgender people from the U.S. military. “When President Trump looks at our transgender troops as valueless and when his party tries to demonize this boy and every other like him, this arrogance and bigotry will provoke a fury in me that will not subside,” Gillibrand said. 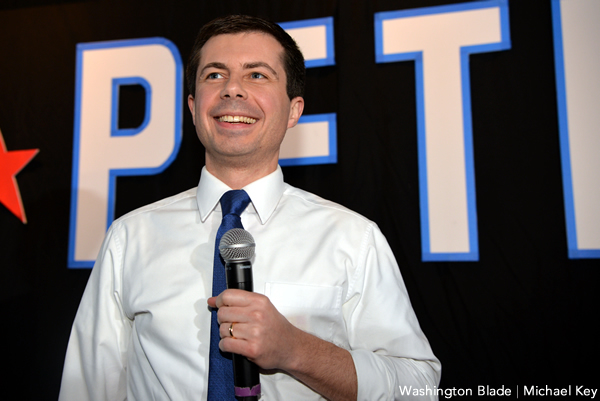 “So we have come far, but everyone in this room knows we are at the start of a journey towards making America a fair and more equal place for LGBTQ Americans, and it will not be easy, so brace yourselves for the battle ahead,” Gillibrand said. Also speaking at the 2018 HRC Greater New York Gala were New York Gov. Andrew Cuomo and Senate Minority Leader Charles Schumer (D-N.Y.).